Here we study, among other things, completeness and minimality of sequences in Banach spaces. This includes a discussion of bases and finite dimensional Schauder decompositions. 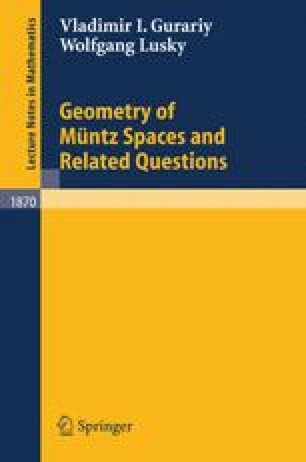 Moreover this gives rise to the introduction of uniformly convex and uniformly smooth Banach spaces.